Adaptive immunity is also called specific or acquired immunity. It is activated when the innate or non-specific immune system can’t efficiently destroy the foreign organism. Specific immunity is distinguished by its specificity for an invading organism and its ability to remember an encounter so that the second time the same invader is encountered a more rapid and intense response occurs. There are two types of specific immune responses; humoral and cellular. Humoral immunity is mediated by lymphocytes, which derive from stem cells in the bone marrow. Thus, they are called B cells and only those that do not attack self are released. After maturation, these B cells produce antibodies (IgG, IgM, IgA, IgE), types of proteins described in Section 5, when they encounter an antigen (1, 2). They are important in combating acute bacterial infections. Cellular immunity is mediated by lymphocytes which are processed in the thymus to become T cells. Only those cells, which do not attack self are released. The cellular immune system combats intracellular organisms such as TB, performs tumor surveillance, mediates transplant rejection, and fights fungal and viral infections. T cells also mediate the delayed type hypersensitivity reaction, like the skin test for TB. They are distinguished from other types of lymphocyte by the presence of special molecules on their cell surface called T cell receptors (TCR). TCR’s are responsible for recognizing and binding to antigens. Suppose some foreign invaders bypass the barriers of the innate immune system and penetrate a tissue of the body. Chemical danger signals are generated at the site of the infection. Such signals arise from cytokines released by tissue macrophages that have encountered bacteria in the tissue, complement products, and clotting system peptides. Another example is N-formyl-methione containing peptides released by bacteria. All bacteria start producing their cell proteins with the peptide N-formyl-methione. They clip off part of their protein and release N-formyl-methione. When a phagocyte, with a receptor for this peptide, binds to this molecule, it knows that there is a bacterial infection. The first cells to arrive are the neutrophils because they are most numerous of all the types of white blood cell, the most motile and also the first attracted by the chemical signals. The neutrophils send out chemical signals to attract other phagocytes for help. This results in monocytes leaving the blood to enter the tissue and becoming macrophages, which are the very efficient phagocytes. Other chemical signals in the tissues function to attract phagocytes to the infection site by chemotaxis (movement toward an increasing chemical gradient). Still other chemical signals activate the phagocytes to increase phagocytosis and intracellular killing of the invading organisms. Phagocytic cells have receptors that specifically bind to pathogen associated molecular patterns (PAMPs) (1), such as: glucan (in cell walls of most bacteria), mannose, lipopolysaccharides (LPS) (a major component of outer membrane of gram negative bacteria). The receptors are called glucan receptor, mannose receptor, and the pair CD14/Toll like receptor (TLR4), respectively. CD stands for the cluster of differentiation (cluster of designation). CD along with a number is a used to designate cell surface molecules present on white blood cells. Toll like receptors are another class of protein cell surface molecules in which individual members are distinguished by the letters TLR followed by a number, like TLR4. German scientists, studying development of the fruit fly Drosophila melanogaster, named the Toll receptor when they discovered that a mutation in the Toll gene resulted in abnormal development. The embryos looked so strange that they exclaimed “toll”, which is German for “wow”. TLR1, TLR2 and TLR6 recognize components from gram-positive bacteria. TLR3, TLR4 and TLR9 recognize molecules from gram-negative bacteria. TLR5 recognizes flagellin, a constituent of bacterial flagella. TLR7 and TLR8 occur in endosomes, membrane bound compartment inside cells where material is sorted before it reaches the degradative lysosome, and recognize single-stranded RNA from viruses. TLR9 is also found in endosomes and acts as a receptor for molecules found in bacterial and viral DNA. TLR3 recognizes double-stranded RNA which is produced by replicating viruses. TLR3 is essential in inducing a protective effect against West Nile Virus by restricting its replication. The recognition of a PAMP leads to the binding of the invader to the phagocytes receptor, which sends a signal to its nucleus that activates the production of chemical signals, such as, cytokines (1,2) and chemokines, proteins that cause other nearby immune system cells to follow a signal of increasing chemokine concentration towards the source of the chemokine. The attracted cells help kill the invaders directly or with the aid of the complement system’s alternate pathway (1), detailed in Section 5. After attachment of a bacterium, the phagocyte begins to extend pseudopods around the bacterium. The pseudopods eventually surround the bacterium and engulf it in an enclosed container, called a phagosome. During phagocytosis the granules or lysosomes of the phagocyte fuse with the phagosome and empty their contents. The result is a bacterium engulfed in a phagolysosome which contains the contents of the granules or lysosomes. The bacteria is digested and the phagocyte breaks down protein (antigen) from the bacteria into short peptide chains. Neutrophils eject these antigens outside the cell, where they are carried to lymph modes by the lymphatics. Macrophages, and other Antigen Presenting Cells (APCs), display these antigens on their surface membrane attached to an MHC class II molecule (1,2). The macrophages then carry these antigens to lymph nodes and present these directly to B cells of the specific immune system. 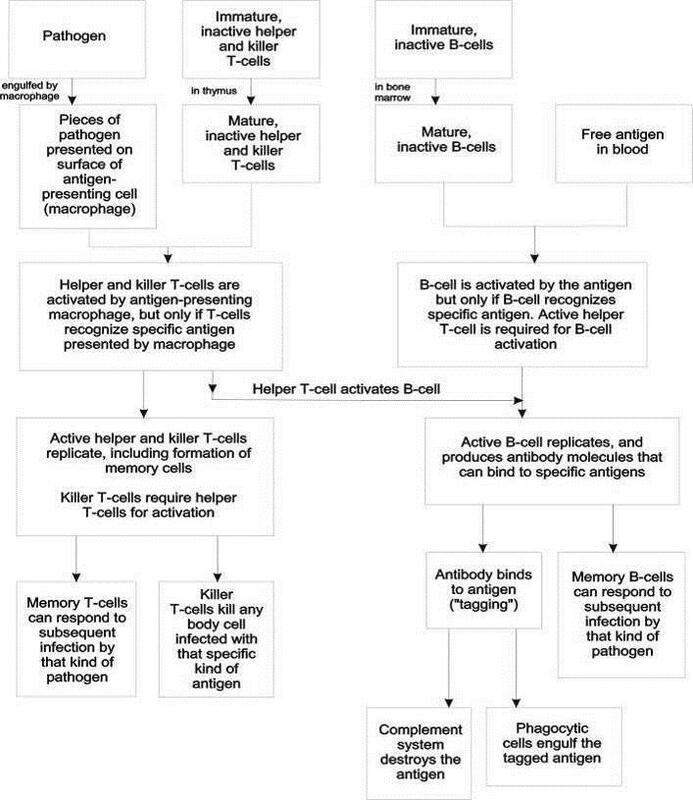 The free or carried antigens activate the specific immune system as described in the following sections. If the innate immune system stops the invaders, then the acquired immune system is not activated. T cells cannot recognize, and therefore react to free antigen. The antigen must be presented to the T cells by APCs, like macrophages, dendritic cells, Langerhans cells, and certain B cells. The steps in the activation process will be described using macrophages. Recall that the macrophage digests the bacteria, processes it and produces antigens. Then, special genes on the short arm of chromosome 6 are activated. The genetic material on the top part of these genes changes but the bottom part of the genes does not. This produces different types of Messenger Ribonucleic Acids (mRNAs), which are transcribed into different proteins. The resulting peptide chains are MHC Class II (Major Histocompatibility Complex) molecules with constant tails but variable heads. When one of the antigens fits into the head of such a molecule, the MHC Class II molecule with the bound antigen is placed on the surface of the macrophage. Then the macrophage enters the network of lymph vessels and is carried via lymph flow to a draining lymph node. The lymph nodes are collection points in which APCs can interact with residing T cells. They do this by chemotaxis. T cells are lymphocytes processed by the Thymus. Each T cell is programmed to react with only one unique antigen, by a T Cell Receptor (TCR) and is also MHC restricted, by a MHC Class II sensor, which is a CD4 surface molecule. The macrophage wanders from T cell to T cell until it finds one that can react with the unique antigen that it carries. Then, the T cell binds to the macrophage both with its TCR and CD4 molecules. This results in the activation of a CD3 molecule in the T cell and so signals the nucleus to express an IL1 (Interleukin 1) receptor (IL-1R) on its surface. The macrophage releases IL1 molecules, which bind to the IL1 receptor, generating a signal to the nucleus of the T cell to express another molecule, CD28, on its surface in preparation for a second signal from the macrophage. This second signal is not expressed by released molecules, but by a molecular projection, B7, from the surface of the macrophage. When B7 binds with CD28, another signal is sent to the T cell’s nucleus. This activates two genes. The first gene causes the production of a protein IL2, which is excreted from the cell. Meanwhile, the activated second gene promotes the production of another protein on the surface of the cell, which is an IL2 receptor (Il-2R). The binding of the secreted IL2 molecules to the IL2 receptors sends another signal to the nucleus. This self stimulating signal activates the genes for mitosis. A clone of T cells, all reacting with the same antigen, is produced. This process is called clonal selection and expansion. Three different types of clones develop: helper, cytotoxic or killer, regulatory or suppressor and memory T cells. There are a variety of helper T cells, which have the CD4 marker on their surface. T cells expressing CD4 are also known as CD4+ T cells. The maturation of T helper (TH or Th ) cells depends on the cytokines they are exposed to. IL-12 causes TH1 differentiation and blocks TH2 cell production, while IL-4 causes TH2 differentiation and antagonizes TH1 development. IL-18 also induces TH1 differentiation. TH1 cells stimulate macrophages to kill the bacteria they have engulfed and recruit other leukocytes to the site producing inflammation. TH1 cells help the CD8 pre-killer cells to differentiate into killer T cells. TH2 cells help B cells differentiate into plasma cells, which secrete antibodies as described in Section 4. Human immunodeficiency virus (HIV) is a lentivirus, a member of the retrovirus family. HIV infects primarily vital cells in the human immune system, such as CD4 T cells, macrophages, and dendritic cells. HIV infection leads to low levels of CD4+ T cells by directly viral killing of infected cells; increasing rates of apoptosis in infected cells; and killing of infected CD4+ T cells by CD8 cytotoxic lymphocytes that recognize infected cells. When CD4+ T cell numbers decline below decline below a critical level of 200 cells per µL, cell-mediated immunity is lost, and the body becomes susceptible to opportunistic infections. Most untreated people infected with HIV eventually develop this acquired immunodeficiency syndrome (AIDS). Cytotoxic or killer T cells (CD8+) do their work by releasing lymphotoxins, which cause cell lysis. They kill target cells bearing appropriate antigen within the groove of an MHC class I molecule that is identical to that of the T cell. Killer T cells are the main defense against intracellular pathogens, like viruses or certain bacteria which require the inside of cells in order to live, and tumors..
Memory T cells are programmed to recognize and respond to a pathogen once it has invaded and been repelled. These cells have a prolonged life span and can thereby “remember” specific intruders. The second time an intruder tries to invade the body, T memory cells help the immune system to activate much faster. The invaders are frequently wiped out before any symptoms are felt. This ability to remember and learn is exploited in vaccinations and booster doses. Suppressor T (TS or Ts) cells inhibit the production of killer T cells once they are unneeded, lest they cause more damage than necessary. TS cells actively suppress activation of the immune system and prevent autoimmune disease. The critical role regulatory T cells play within the immune system is evidenced by the severe autoimmune syndrome that results from a genetic deficiency in regulatory T cells. B cells are lymphocytes that mature in the bone marrow. Every B cell is genetically programmed to produce a unique antibody (or imunoglobulin) and react with a specific antigen by displaying the antibody on its surface as a B cell receptor (BCR) for the antigen. This receptor is a surface immunoglobulin belonging to the family IgM or IgD, described in Section 5. B cells react to a great variety of antigens like peptides, carbohydrates, lipids and DNA. The B cells in the lymph node interact with free antigens. When the unique matching antigen is encountered, the antigen binds with the BCR. This activates another molecule CD79 on the B cell’s surface, which signals the nucleus to produce a trans-membrane protein receptor (IL-4R) for IL4. Recall that the clonal expansion of T cells with the same antigen is also occurring in the lymph node. When enough T cells have been produced, another T cell gene is activated, which produces another molecule, IL4, which is excreted from the T cells. IL4 is a B cell growth factor. When it binds with the IL-4R, it signals the B cell’s nucleus to induce mitosis and a clone of B cells with the same BCRs is produced. When enough B cells are produced, another B cell surface receptor IL-5R is expressed. Meanwhile, the clone of helper T cells (TH2), is generating and releasing an IL5 molecule, which is a B cell differentiation factor. When Il5 binds with the IL-5R, it causes the B cells to convert to plasma cells. These plasmas cells produce their characteristic antibodies. Some clones of B cells form B memory cells that remember the same pathogen for faster antibody production in future infections. T memory cells have a longer lifespan than B memory cells. The free antibodies pass through the bloodstream and so reach the foreign invaders. They bind with foreign cells antigens and are activated. Phagocytes, such as neutrophils and macrophages, have receptors for the activated antibodies, which bind the bacteria very tightly, so that they cannot escape. This facilitates phagocytosis. These antibodies act as opsonins, an antibody in blood serum that causes bacteria or other foreign cells to become more susceptible to the action of phagocytes. Another result is the activation of complement which can kill bacteria as detailed in Section 6. Some invaders cannot be completely eliminated. The immune system builds a wall around them with adhering phagocytes, particularly macrophages. The wall is called a granuloma. The imprisoned organisms may survive indefinitely. However, if the immune system is weakened and the walls crumble, the invaders may start to multiply and cause symptoms, even years later. Granulomas are seen in a wide variety of diseases, both infectious (e.g. tuberculosis, leprosy, cat-scratch disease) and non-infectious (Chrohn’s disease, pulmonary rheumatoid nodules and aspiration of food and other particulate material into the lung). A summary of the adaptive immune response appears in Figure1 (2, 3, 4). Antibodies are soluble proteins secreted by clones of primed B cells and which are the gamma globulin part of the blood proteins. Antibodies are composed of four polypeptide chains as shown in Figure 2. There are two “light” chains (lambda or kappa), and two “heavy” chains (alpha, delta, gamma, epsilon or mu). 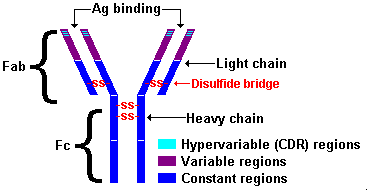 The type of heavy chain determines the five antibodies’ isotypes (IgA, IgD, IgG, IgE, IgM). The percentage composition of gamma globulin is IgG-76%, IgA-15%, IgM-8%, IgD-1%, and IgE-0.002%. IgM is the major antibody produced in the primary immune response, while IgG dominates in the secondary immune responses. IgM is physically much larger than the other antibodies. IgG is the only antibody that can cross the placental barrier to the fetus and confers the 3 to 6 month immune protection of newborns. IgE is responsible for autoimmune responses, such as: allergies and diseases like arthritis, multiple sclerosis, and systemic lupus erythematosus. The secondary reponse is faster and the produced Ab, mainly IgG, are more effective. The light chains contain 220 amino acid residues while heavy chains are composed of 440-550 amino acids. Each chain has “constant” and “variable” regions as shown in Figure 2. Variable regions are contained within the amino (NH2) terminal end of the polypeptide chain (amino acids 1-110). When comparing one antibody to another, these amino acid sequences are quite distinct. Within the same isotype, constant regions, composed of amino acids 111-220 (or 440-550), are fairly uniform, from one antibody to another. “Hypervariable” regions, or “Complementarity Determining Regions” (CDRs) are found within the variable regions of both the heavy and light chains. These regions serve to recognize and bind specifically to antigen. The four polypeptide chains are held together by covalent disulfide (-S-S-) bonds. Antibody molecules are very flexible. This freedom of movement allows it to more easily conform to an antigen. The upper part or Fab (antigen binding) portion of the antibody molecule (physically and not necessarily chemically) attaches to epitopes on the antigen (1). The Fc region is crystallizable and is the end to which immune cells can attach. Known methods that antibodies inactivate antigens are: using complement as explained in Section 6, neutralization (binding to specific sites to prevent attachment), agglutination (suspension into clumps), and precipitation (causing insolubility and settling out of solution). Some properties of antibodies and their qualitative changes in some diseases appear in Table1. The complement system is a biochemical sequence of reactions that complement, the ability of antibodies to destroy pathogens. It is part of the innate immune system, but it can also be activated by the adaptive immune system. The complement system consists of about 30 proteins. comprising approximately 5% of the globulin portion of the blood. They are designated by a letter, such as, C, and sometimes a number or a number and a letter or letters (e.g. C2a). These proteins are mainly synthesized by the liver, but also by macrophages and some B cells. They normally circulate as inactive precursors. When stimulated by one of several triggers three biochemical pathways are activated: the classical complement pathway, the mannose-binding lectin complement pathway, and the alternative pathway (See Fig. 3.). They all result in the lysis or destruction of the foreign cell’s membrane, by their common ending pathway, the lytic attack pathway. However, the classical pathway is not activated immediately. It takes about seven to fourteen days to produce sufficient antibodies. 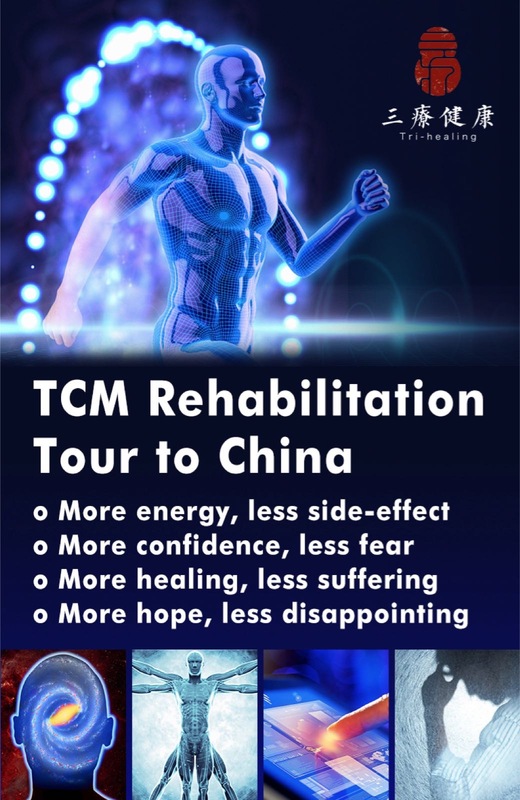 Thus, the other two pathways are essential for an instantaneous reaction to a foreign invasion of the body. The first part of each pathway up to the generation of C5 convertase will be described and then the final lytic attack pathway. The classical and lectin pathways probably developed from the more primitive alternate pathway. The following definitions will be used in describing the pathways. C activation is the alteration of a C protein so that it reacts with the next component. C inactivation is the loss of activity of an earlier C component, for example, hemolysis. Convertase/esterase is an altered C protein which acts as a proteolytic enzyme for another C component. The proteins involved in this pathway are: C1, composed of three different proteins C1q, C1r and C1s, C2, C3, C4, C5, C6, C7, C8, and C9. 1. After IgM or IgG binds to an antigen, the Fc portions of these molecules are activated, enabling the binding of the C1 complement. C1 binding does not usually occur to antibodies that have not been bound to an antigen. The binding of C1 to the antibody is via C1q and C1q must cross link at least two antibody molecules before it is firmly fixed. 2. C1q forms a complex with C1r which activates C1s to bind to C1r. Ca ion is required to stabilize CqCrCs. 3. C4 binds to membrane and the activated C1s cleaves C4 into two components C4a and C4b. The larger C4b fragment binds to the membrane and the C4a fragment diffuses away. Once C4b is bound, it binds C2 in the presence of Mg ions. 4. Activated C1s cleaves C4b-bound C2 into C2a and C2b. The larger peptide C2a binds to the membrane in association with C4b, and C2b is released. 5. The resulting C4bC2a complex is a C3 convertase and cleaves C3 into C3a and C3b. The larger fragment C3b binds to the membrane in association with C4b and C2a, and C3a diffuses away. The resulting C4bC2aC3b is a C5 convertase. If the classical pathwa4y were not regulated there would be continued production of C2b, C3a, and C4a. Table 2 summarizes the ways in which the classical pathway is regulated. The importance of C1-INH in regulating the classical pathway is that C1-INH deficiencies are associated with the development of hereditary angioedema. The proteins involved in this pathway are: Mannose-binding lectin (MBL) and MBA associated serine proteases (MASP-1, Masp-2), C4, C2, and C3. Serine proteases or serine endopeptidases are proteases (enzymes that cut peptide bonds in proteins) in which one of the amino acids in the active site of the enzyme is serine. 1. MBL recognizes carbohydrate patterns (mannose and fructose residues), found on the surface of a large number of pathogens, including bacteria, viruses, protozoa and fungi. The binding of MBL to a pathogen activates the lectin pathway and results in the binding of MASP-1 followed by the binding of MASP-2. MASP-1 and MASP-2 are analogous to C1r and C1s, respectively and MBL is analogous to C1q. 3. Activated MASPs also cleave C2 into C2a and C2b. C2a binds to the membrane in association with C4b and C2b is released. 4. The resulting C4bC2a complex is a C3 convertase, which cleaves C3 into C3a and C3b. C3b binds to the membrane in association with C4b and C2a and C3a diffuses away. The resulting C4bC2aC3b is a C5 convertase. The proteins involved in this pathway are: Factors B, D, H and I; C3, and Properdin (P). The alternative pathway provides a means of non-specific defense against infection without antibodies. Hence, it provides a first line of defense against a number of infectious agents. 1. The first step in its activation is the production of C3i by a low level of spontaneous hydrolysis of C3 in serum. 2. Complement Factor B binds to C3i which enables complement Factor D to cleave Factor B into Bb and release Ba. This step requires Mg ions. 3. Although the C3iBb complex has a short half-life, it acts as a C3 convertase and cleaves C3 into C3a and C3b. 4. Once C3b is formed, Factor B will bind to it becoming susceptible to cleavage by Factor D. The resulting C3bBb complex is a C3 convertase that will continue to generate more C3b. It is stabilized by the globular complement protein P complexing with C3b, but not on autologous membranes. 5. Some of the C3b, generated by the stabilized C3 convertase on the cell surface, associates with the C3bBb complex and forms a stable C3bBbC3b complex. This is the C5 convertase of the alternate pathway. If this process described above was allowed to continue unconstrained, all C3 in the serum would be depleted and so it is normally controlled. However, patients with genetic deficiencies of Factor H or I, which play a role in the control process, have a C3 deficiency and increased susceptibility to infections by viruses, bacteria and parasites. The depletion of C3 is controlled by either blocking the formation of C3 convertase, dissociating C3 convertase, or by enzymatically digesting C3b. The details follow. When the produced C3b binds to host (autologous) membranes, it interacts with decay accelerating factor (DAF), which blocks the binding of Factor B with C3b. DAF is not present in bacterial or other pathogen’s cell walls. This prevents the formation of additional C3 convertase. DAF also accelerates the dissociation of Bb from C3b in C3 convertase that has already formed, thus halting the production of additional C3b. s C3b binds to complement receptor 1 (CR1). C3b is inactivated by enzymatic degradation by Factor I. If some of this inactivated C3b is present in the microenvironment, it will not be able to bind to Factor B. Finally, Factor H facilitates the enzymatic degradation of C3b by Factor I. Factor I is still effective even if no Factor H is present. 1. C5 convertase from the classical (C4b2a3b), lectin (C4b2a3b) or alternative (C3bBb3b) pathway cleaves C5 into C5a and C5b. C5a remains in the fluid phase and the C5b is membrane bound. 2. C5b rapidly associates with C6 and C6 binds C7 and the C5bC6C7 complex inserts into the membrane. Subsequently C8 binds, followed by multiple C9 binding. 3. The C9 molecules form a pore in the membrane through which the cellular contents leak and lysis occurs. Lysis is not an enzymatic process; it is thought to be due to physical damage to the membrane. The complex consisting of C5bC6C7C8C9 is referred to as the membrane attack complex (MAC). Gram-negative bacteria have structurally weaker membranes than Gram-positive bacteria and so are more susceptible to MAC. The genus Neisseria contains two important human Gram-negative pathogens, N. gonorrhoeae and N. meningitidis. Deficiency in MAC results in greater susceptibility to gonorrhea, and meningococcal meningitis. The activated components of complement contribute to resistance, and inflammation and anaphylaxis as indicated in Table 3. An additional function of complement is the removal of immune complexes. Immune complexes are clusters of interlocking antigens and antibodies. Under normal conditions soluble immune complexes bind C3b and C3b binds to CR1 receptors on red cells. They are rapidly removed from the bloodstream by macrophages in the spleen and Kupffer cells in the liver. Immune complexes can also activate the alternative pathway. The immunoglobulin concentration required for such activation is relatively high. In some circumstances, immune complexes continue to circulate. Eventually they become trapped in the tissues of the kidneys, lung, skin, joints, or blood vessels. Their final disposition probably depends on the nature of the antigen, the class of antibody, and the size of the complex. There they set off reactions that lead to inflammation and tissue damage. For example, if IgA complexes are not removed Berger’s disease and Henoch-Schonlein purpura (HSP) may result. IgA nephropathy (Berger’s disease) occurs when an IgA complexes lodge in your kidneys. This hampers your kidneys’ ability to filter waste, excess water and electrolytes from your blood. This can lead to blood and protein in the urine, high blood pressure, and swollen hands and feet. Usually Berger’s disease progresses slowly. Some people eventually achieve complete remission, while others develop end-stage kidney failure. HSP is a systemic inflammation of blood vessels resulting from the deposition of IgA immune complexes. this inflammation causes bleeding in the small blood vessels (capillaries) in your skin, joints, intestines and kidneys. The main symptom is a purplish rash, typically on the lower legs and buttocks. HSP often causes abdominal pain and aching joints, and in some people, kidney problems. It usually resolves within several weeks and requires no treatment apart from symptom control, but may relapse in a third of the cases and cause irreversible kidney damage in about one in a hundred cases. Tables 4, 5 and 6 give some diseases caused by deficiencies of complement in the three pathways. Why aren’t white and red blood cells or platelets damaged as they pass through a region in which complement has been activated? All of these cells are derived from a common stem cell which has a phosphatidylinositol glycan anchor biosynthesis, class A (PIGA) gene. The PIGA gene provides instructions for making a protein called phosphatidylinositol glycan class A. This protein takes part in a series of steps that produce a molecule called Glycosylphosphatidylinositol (GPI anchor) which serves to anchor proteins to the cell’s surface. The protein that is anchored is CD55, called the decay accelerating factor (DAF). The classical pathway is controlled by membrane-bound DAF by its ability to bind the C3 convertase C4b2a. The alternative pathway is controlled by DAF binding to C3 convertase, C3bBb. By binding and dissociating the C3 convertases in both paths, C3b peptides can no longer be produced to bind to the surface of the cells. DAF can also bind and dissociate C5 convertases on the surface of cells, which stops the formational MAC. Therefore, the cells protected by DAF are not engulfed by phagocytic cells or lysed by membrane attack complexes. 1. 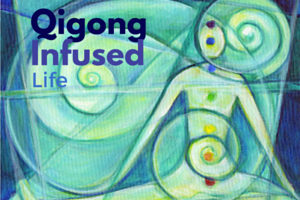 Eisen, M. Part 13(a): Qigong and the Immune System. The Innate Immune System. Qi Dao, Sept/Oct., p. 20-27, 2010. 2. Male, D. et al. Immunology. Ed. 7, Elsevier Health Sciences, 2006. 3. Mayer, G. Immunology at http://pathmicro.med.sc.edu/book/immunol-sta.htm. 4. Dr. Najeeb’s Channel at http://www.youtube.com/user/DoctorNajeeb. 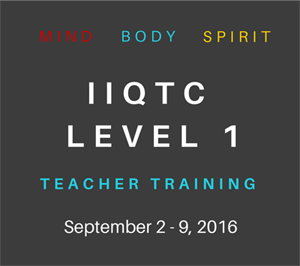 See Intro to Immunology and Complement System. This entry was posted in Scientific Qi Exploration and tagged adaptive immunity, immune system, Marty Eisen. Bookmark the permalink. That’s good for me to study. I got out of high school with just one required year of general science. I look at papers like this, and my eyes cross several times. But I will read it over until it is more clear. Hello there, simply became alert to your weblog via Google, and located that it’s truly informative. I am gonna watch out for brussels. I?ll be grateful when you continue this in future. Many other people will probably be benefited out of your writing. Cheers! I’m really impressed along with your writing talents as neatly as with the layout to your blog. Is that this a paid theme or did you customize it yourself? Either way stay up the nice quality writing, it is rare to look a great blog like this one today.. Thanks for every other wonderful article. The place else may just anybody get that kind of info in such an ideal way of writing? I’ve a presentation next week, and I am on the look for such information. it is really a nice guide for any one who get stretad cell phones for their learning. I will recommend my friends for the same. Great work indeed and thanks for sharing. Nice post. I’m verifying continuously this web site and I’m impressed! Handy information in particular the last area 🙂 I actually handle such information much. I used to be trying to find that data for any long time. Thanks and also with success. Hey there! Swift question that’s fully away subject matter. 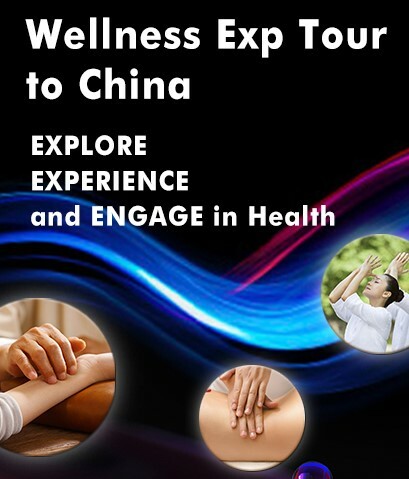 Do you realize how to make simple a site cell phone favorable? My site appearances strange when searching from my cellphone. I’m looking for a motif or wordpress tool that could possibly resolve this issue. Please share if you have any suggestions. of course like your website however you need tto check the spelling on quite a few of your posts.